Below is a map of Bigfoot sightings around the US. These two are looking almost identical, eh? Below is a map of where ancient giant skeletons have been uncovered. The green and hot pink areas show granite and limestone; two geologic formations often associated with hauntings. Let's look at another map - US population density. It goes without saying that where people are located, more sightings of the unusual will be reported. It's sort of like; if there is no person in the woods to hear it and a tree falls, will it make a sound? 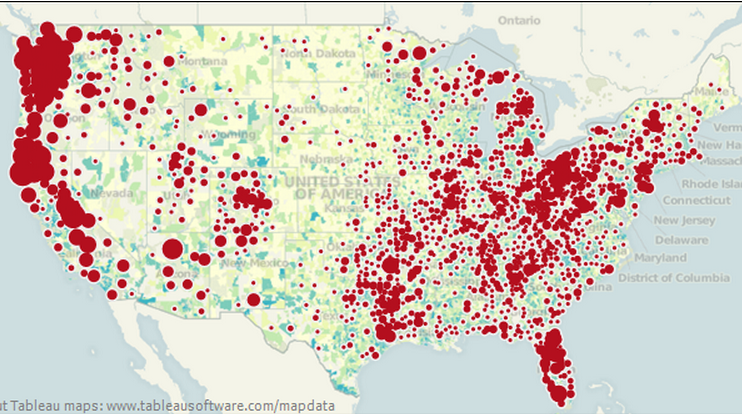 This map might make you assume that these sightings are incidental in those locations because there are more people living there and more people reporting. But, could there actually be more incidents there to report and why? Well, let's go back and look at that geology map. 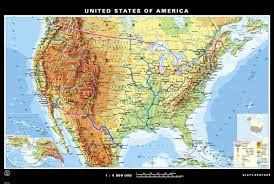 There is a big strip with lack of granite or limestone down the west of center running south to north. It is the same strip that is empty on our population density. It is the same strip that is evident on the map of ancient giant skeletons. It is the same strip that reveals almost no Bigfoot sightings or UFO sightings. In fact, if you view it, you might think that Southwest Kansas is one of the single most boring places in the country. How about the rankings of most haunted states? This makes things more interesting. 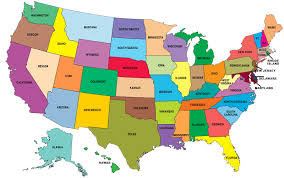 We have plenty of population density in New Hampshire and Vermont, bad geology, but we are promising on Bigfoot, ancient giants and UFO sightings. So, why not so haunted? Given that there is plenty of history and population there - what gives? Geology? 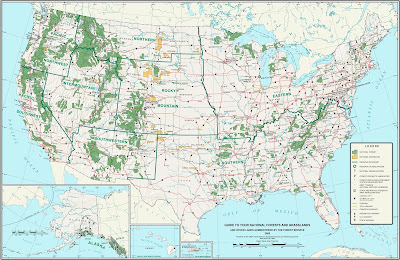 Let's look at a physical map of the US that shows mountain ranges. Interesting, eh? Let's hold it up to the map of Bigfoot sightings - a biological being who needs water. This actually strongly supports a population of hidden human family in the US by their location to waterways. 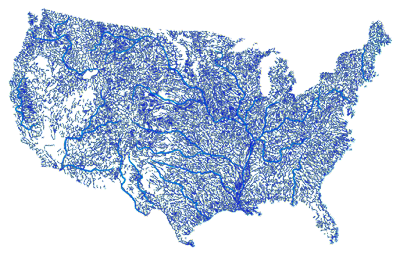 That is not random of fanciful liars, but purposefully located so that sightings are where waterways exist. What about waterways and ancient giants? They seem to support each other, as well, revealing that an ancient civilization could have existed simply by where they were living near waterways. What about fault lines where great pressure occurs? Might these cause sightings of oddities or support a source of attractive energy? We do know before earthquakes the skies can have odd lights - just one example of the capability of this energy. This UFO map and the seismic map are fairly aligned, but not terribly impressive. 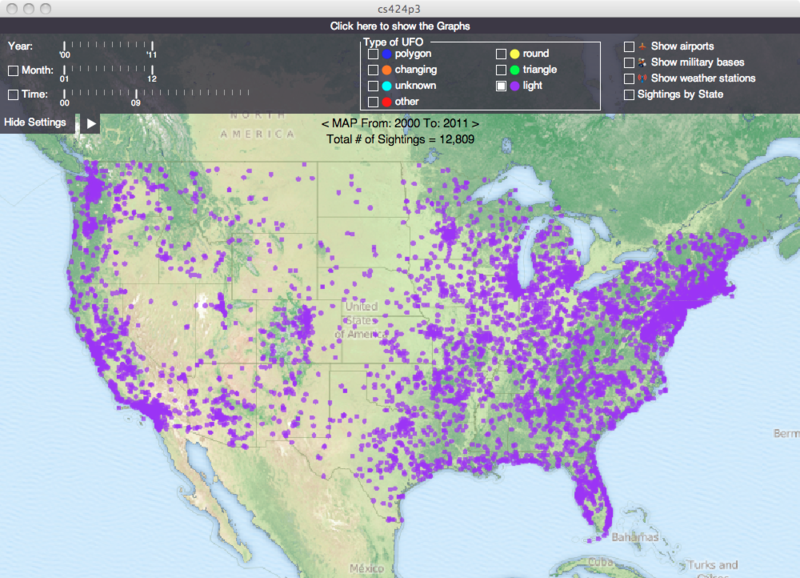 When we look at the UFO map, people along the ocean report more UFO sightings. Is this because flying over the ocean is the best way to not be seen as much or because the ocean offers a great deal of sky for viewing? Or are there more sightings there because of population density? 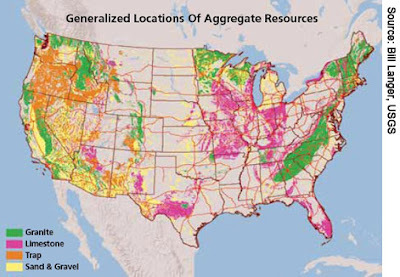 How about this map of mining areas in the US? Does it correlate with an ancient people who liked to mine? Oh yes, that would support that ancient giants were along waterways and mining areas which supports that they existed and did have industry here. How do we get past the population density issue, that when there are more people there are more witnesses but not necessarily more activity? We ask ourselves questions like these above: If there is a giant hairy person hiding, would they hide in the mountains and near waterways to support them? It would seem so. And, if there was an ancient mining culture, might they live near waterways and areas we mine today? Yes. So, we also learn much about our own desire to live near resources, whether the sea, waterways or minerals. There doesn't seem a strong correlation there. Well those two maps seem to show together nicely. Waterways, mountains and parks with Bigfoot in attendance and sighted in these areas supports a population of lonely folks who know just where to hide and survive. 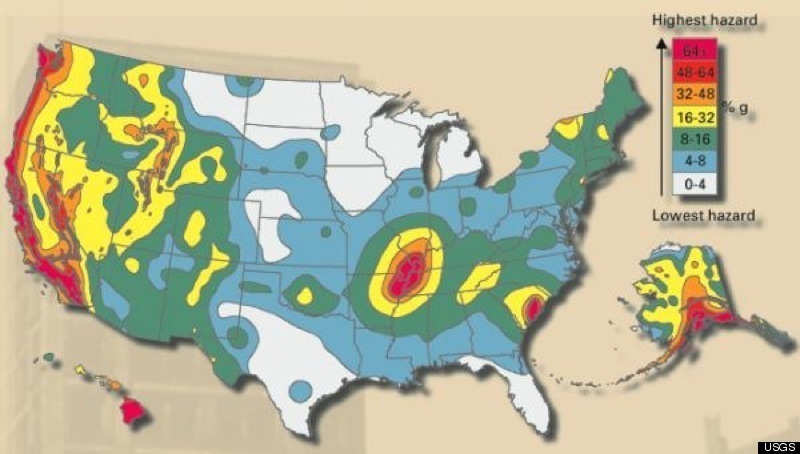 We've also learned that haunted places and not-so-haunted places follow the geology map indicating that mineral-dense areas have more hauntings reported. 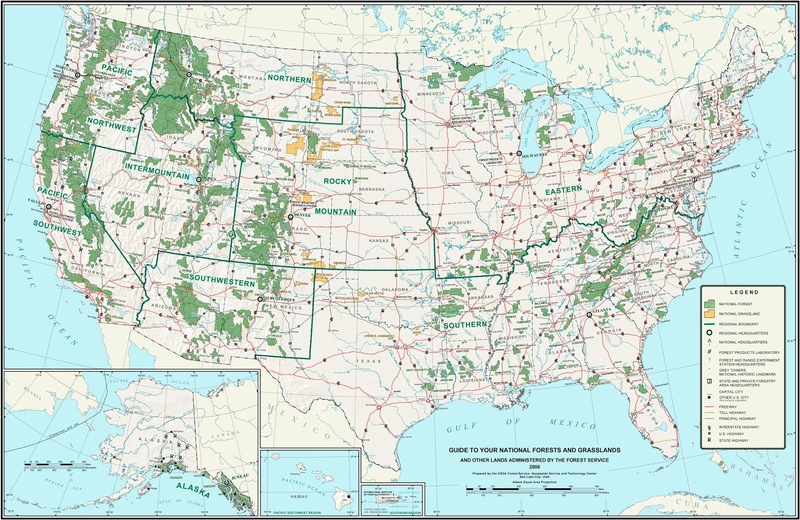 I encourage others to go about finding maps to correlate any potential commonalities between paranormal reporting and features of the US, whether it's battlefields or original Native sites, and the like. 4. Granite 1 of 2 sites with granite ranked a 5 or 6 on the haunted scale. 41 of 50 sites had this feature--that is very significant. It's also hard to discover whether or not the other 9 sites had underground springs, so it's a very hard one to judge. Also, people tended to build homes near waterways long ago before we had wonderful plumbing and such. I did not, however, find one super haunted site that did not have water nearby. Expect me to continue on this concept, as I have been working on a book "Spirit Vessels: Why Some Buildings Are Haunted" to expose more factors. I hope everyone keeps up the interest in finding commonalities and searching for the "alchemy" involved in paranormal locations.